Maple & Friends: Go Team! 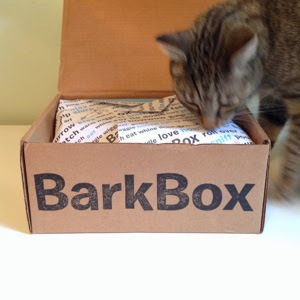 September's Bark Box is here and just in time for football season! 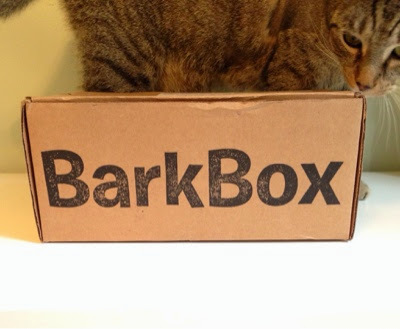 This month's box came with everything you need to include your dog in your next tailgating event. 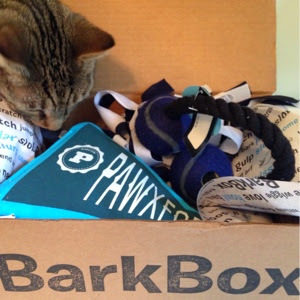 September's Bark Box comes with a Pawxford University Pennant by Safemade, so pups can show off their team spirit, along with some Pom Poms by Fabdog so your pup can cheer on their favorite sports team. 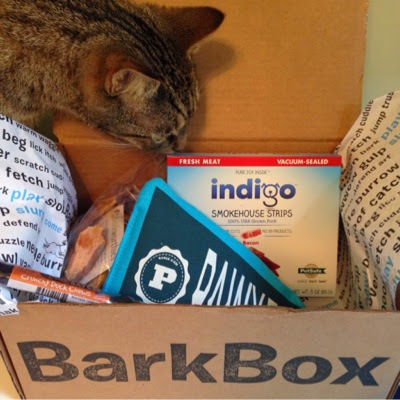 If your pup gets hungry during the excitement of the festivities, they can munch on some delicious Indigo Smokehouse Strips by Pet Safe, paired with some Sweet Potato Steak Fries by Barkworthies. If all that wasn't enough and your pup gets a little bored during halftime, give them an Etta Says Duck Chew to keep them occupied. As you can see, this football themed Bark Box was a bit hit in our house. Even Monster wanted in on the action.